I have something fun for you today! 22 of my friends have joined me in sharing fun free printables for you to add to your home decor! It is a little gift from our homes to yours this Autumn season! I took my babies to a local farm last week to buy pumpkins, corn, raspberries and fresh honeydew melons, grown and harvested right there and sold in their quaint and adorable old barn store. I posted a picture of the barn on Instagram. They also had cows, sheep, and turkeys for my littles to pet and feed. Needless to say, we were all in heaven. 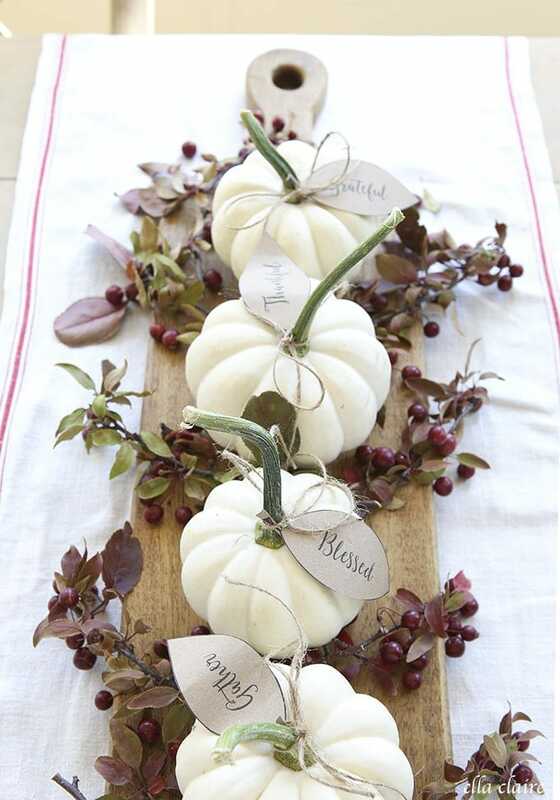 I bought a bunch of these little white pumpkins. I think I will definitely be adding them to my garden list for next year because they are just so pretty and fun. 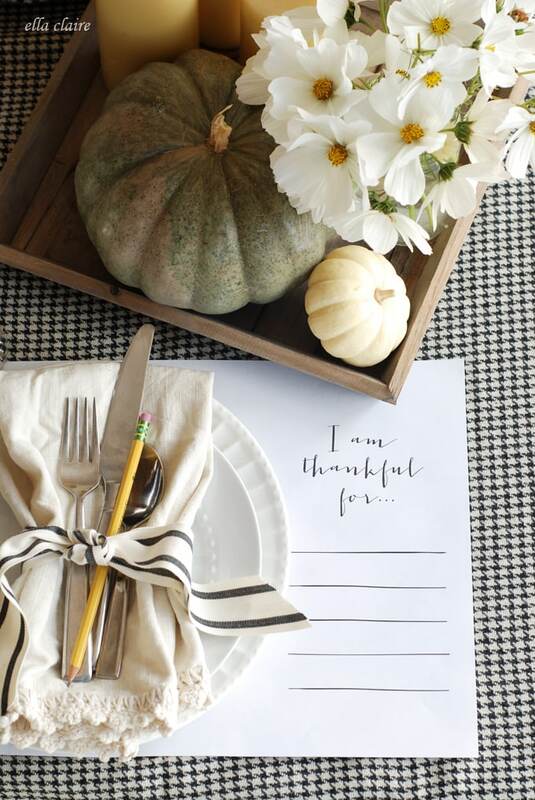 I thought it would be sweet to add little leaf tags with different thanksgiving words, and of course I have the free printable for you too. 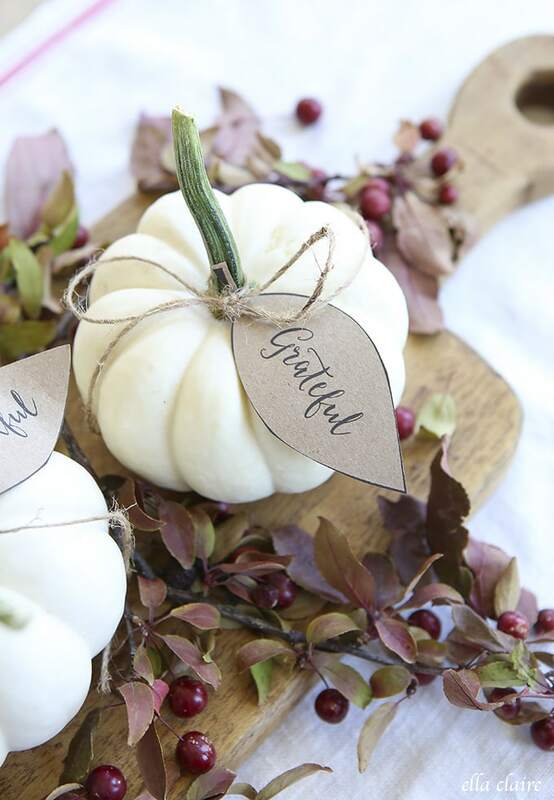 Each leaf in my printable has a thanksgiving word: grateful, thankful, blessed, gather, family, and harvest. I just printed them on kraft colored cardstock that I bought at a craft supply store and tied them on with thin twine. 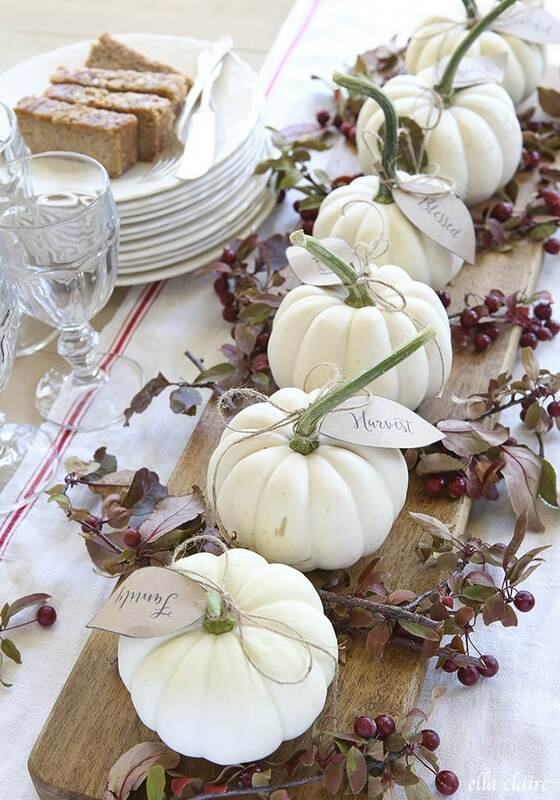 I lined mine up on a long breadboard for a table centerpiece, but they would be fun on a mantel or side table as well. I dressed them up with some branches that I cut from a tree and placed the whole vignette on top of a long antique linen towel. I am so excited for Fall and all that it brings! 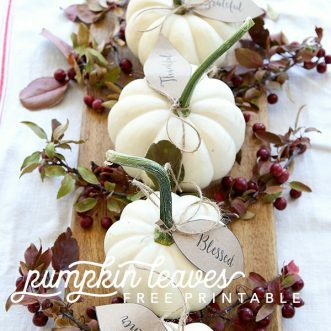 I am so excited to also be sharing these 22 other free printables with inspiring vignettes for Fall! There are so many beautiful and fun options here to add to your decor and I know you will just love them! It is a little gift from our homes to yours. Gorgeous, Kristen!! Thanks for organizing this event! YOU WIN! 😉 haha This is the prettiest set-up Kristen! 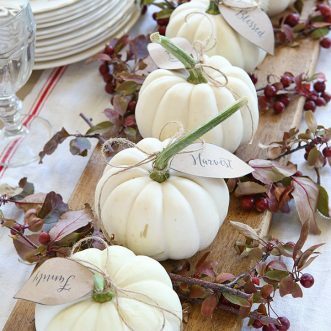 And I’m jealous you found pumpkins so early…. Love the natural branches with those red berries– what are they called, do you know? Such a smart and unique printable–your forte! 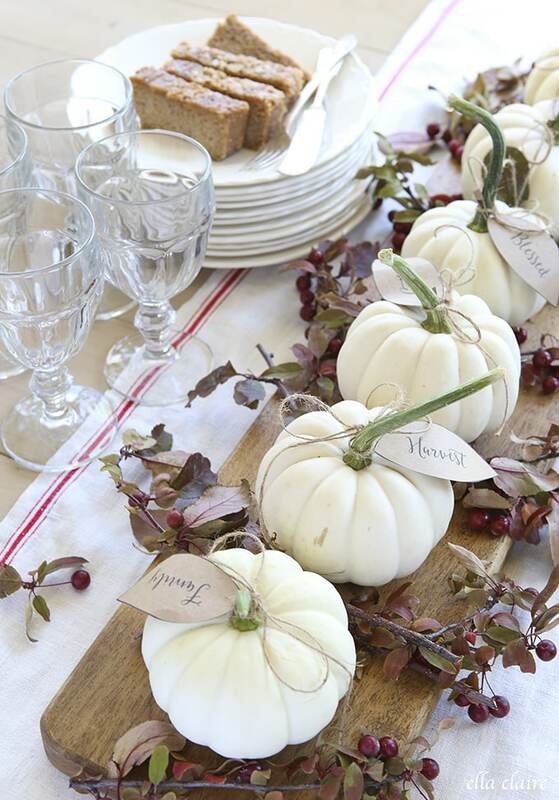 Lovely, Just makes me want to redo my dining space! Thanks for sharing at the Inspiration Spotlight party. Pinned & shared. 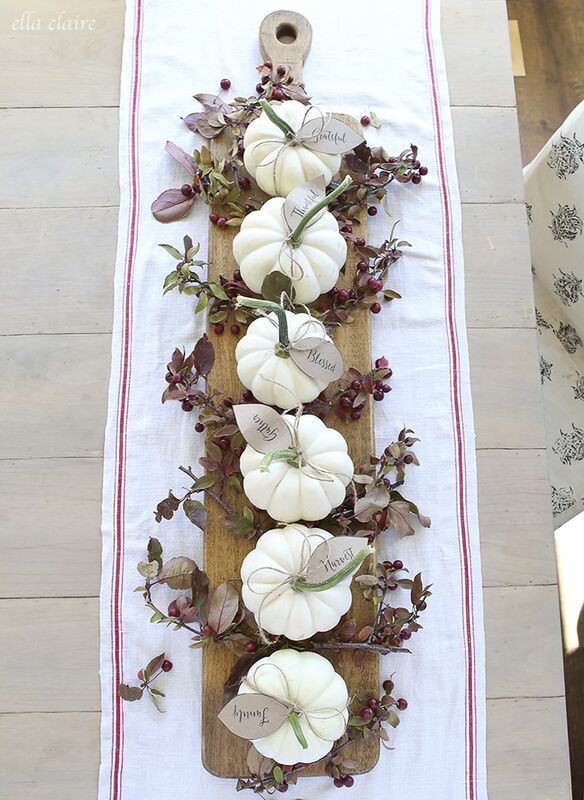 Hi Kristen, what a great table decoration, the little leaves really add to your pumpkins and the berries are a perfect compliment. 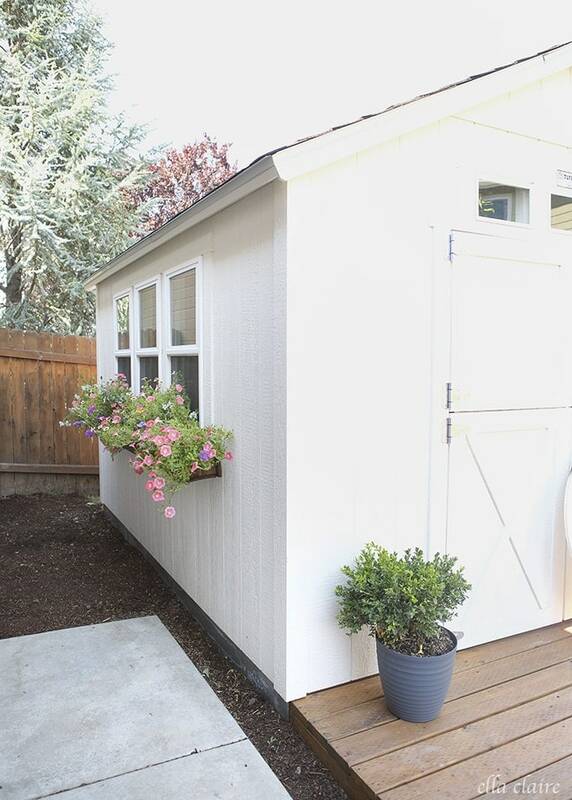 I also visit your Instagram to check out the farm where you made your purchase, very quaint. Thanks for sharing on my #OMHGFF this week, appreciate your time.